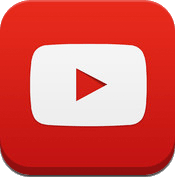 There are dozens of complaints in the YouTube Help forum that the YouTube App for iOS won't let you perform a search for videos. The issue is, no matter what you search for, YouTube responds with "No Results" found. Thanks for your patience. The team has pushed out a fix to this issue, but you'll need to uninstall and reinstall the app to get it working again. If you don't reinstall the app, the issue will resolve itself within 24 hours. Note: If you're still seeing the issue after reinstalling the app, keep in mind that it may take some time for the fix to roll out to everyone.